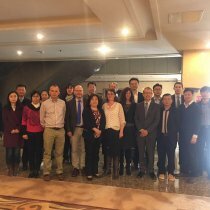 A workshop, in support of the NZ-China Food Protection Network project ‘Antimicrobial resistance and antimicrobial usage in New Zealand and China, with particular reference to the dairy value chain’ (led by IDReC researchers Adrian Cookson and Sara Burgess), was held in Beijing, China on 27 and 28 November 2017. 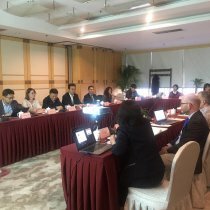 It was hosted by Professor Shuntang Guo (China Agriculture University) and Professor Nigel French (NZFSSRC) and was attended by 27 university and industry experts in the area of antimicrobial research (AMR) and antimicrobial use (AMU). Presentations covered a number of broad AMR/AMU research areas relating to the respective NZ and China animal production systems, human health, national surveillance strategies and action plans, together with research on antibiotic-free feed strategies and methods for the detection of antibiotics in animal feed. China research institutes and dairy companies represented included China Agricultural University, Chinese Academy of Agricultural Sciences, Zhejiang University, COFCO NHRI, Fonterra, Mongolia Yili Industrial Group Co., Ltd., China Mengniu Dairy Co., Ltd., New Hope Dairy Co., Ltd., and Sanyuan Group. New Zealand research institutes and dairy companies represented included, AgResearch Ltd., Massey University, Cognosco, NZFSSRC and Fonterra. New Zealand Governments represented were MBIE and MFAT. 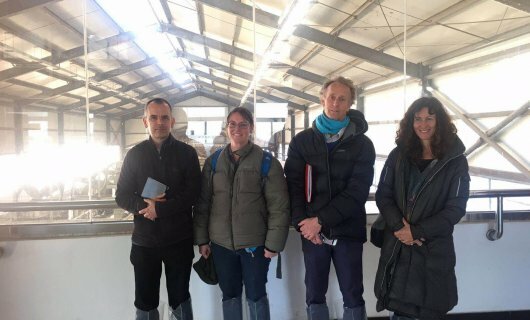 Further directions are aimed at further developing NZ-China relationships in the AMR/AMU area with research staff exchanges between institutes.